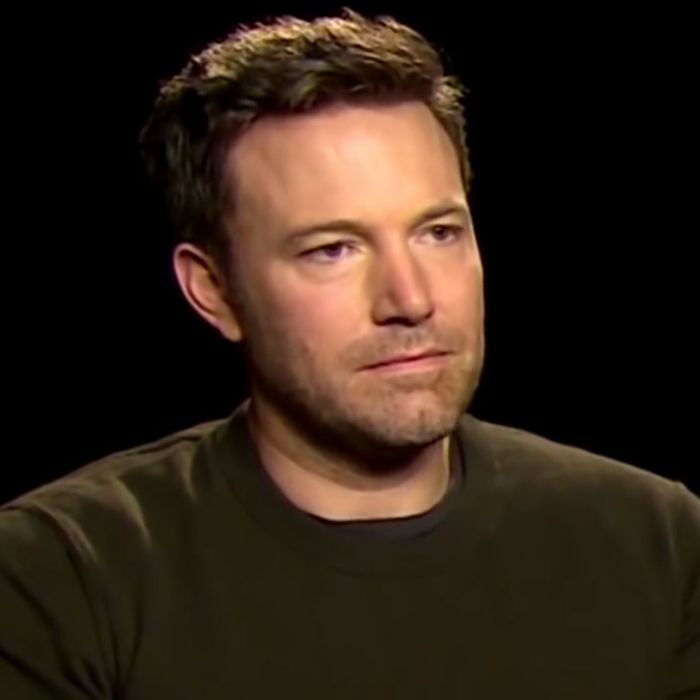 As memes go, last month’s Sad Ben Affleck — sparked by a since-removed YouTube video in which Affleck appears to momentarily contemplate the meaningless of existence after being asked by an interviewer to respond to terrible reviews for Batman v Superman, set to a soundtrack of Simon & Garfunkel’s “Sound of Silence” — is very entertaining. It’s not the first meme to set a captured look of earnest despair to music, and it’s one of a seeming endless stream of memes based around an implied moment of celebrity sadness. Still, given its context (the hyper-artifice of a publicity junket) and its subject (the endlessly vivisected Affleck), it’s no wonder that this meme seemed, at first click, to be the perfect piece of internet schadencandy. 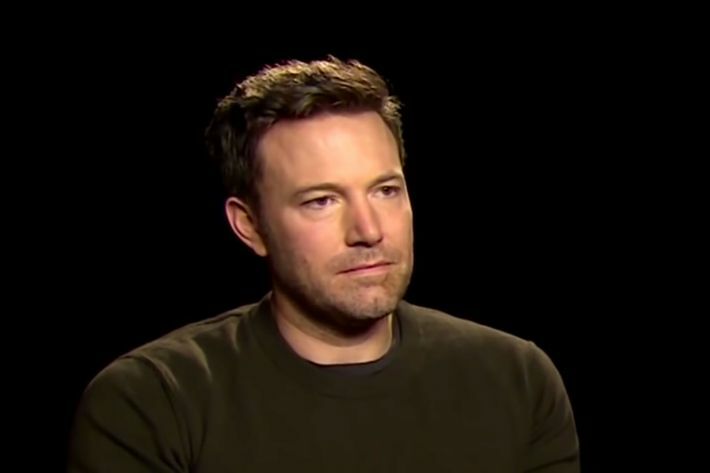 Which is why I was so surprised recently, while being regaled by someone I’d only just met about the importance of the imminent presidency of Donald Trump, to be recalling that haunting image of Sad Ben Affleck’s face. After all, this moment — a virtual stranger rabidly babbling nonsense directly into my earholes — had nothing to do with Ben Affleck, and yet the haunting image of his tight, polite, constricted smile is, I realized, more widely symbolic and more aptly applicable than it first appeared. Isn’t this exact sensation — one of keeping your composure in the face of a torrent of uninvited nonsense — a feeling we encounter often in the modern age? If you have ever written anything and posted it online, for example, be it an essay, a confession, or even just a tweet, you may have had the experience of reading the resultant responses — and isn’t this the perfect expression to capture just how that too often feels? In fact, isn’t this also the perfect expression for how it feels when, say, you’re stuck in the back of an Uber or a cab while your driver launches into some racist rant? Or how it feels to tentatively open your Facebook page to find a parade of forwarded wisdom-nuggets in Comic Sans from childhood friends you otherwise long ago lost touch with? Or to sit at a holiday table as an inebriated relative rails on loudly about how the only deterrent to imminent terrorist annihilation is assault rifles in the hands of every schoolchild? Or to ride in a crowded New York subway car while someone goes on loudly to no one about “the Jews”? Or to find out that Bill O’Reilly thinks that part of the problem with America today is that African-Americans have too many forehead tattoos? Or pretty much anytime you’re forced into proximity with the wit and wisdom of Ann Coulter? Don’t you, in other words, feel a little bit like this every single day? This aspect of Sad Ben Affleck is not a disposable meme; it’s a modern analogue to the famous image of Edvard Munch’s The Scream. If The Scream represents the existential anguish of modernity, Sad Ben Affleck represents the barely suppressed despair of living in a world of way too many screamers, with way too many conduits to scream right in your face. You could, of course, scream back. Or you can just sit, and ride it out, and hope for a better tomorrow, while patiently and stoically enduring the indignities of today. Either way, Sad Ben Affleck, c’est moi.